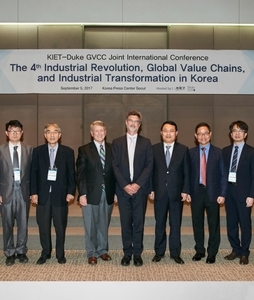 The Duke University Global Value Chains Center signed an agreement with the Korea Institute for Industrial Economics & Trade (KIET) on a research project that investigated industrial upgrading opportunities for the Korean economy from a global value chain (GVC) perspective. 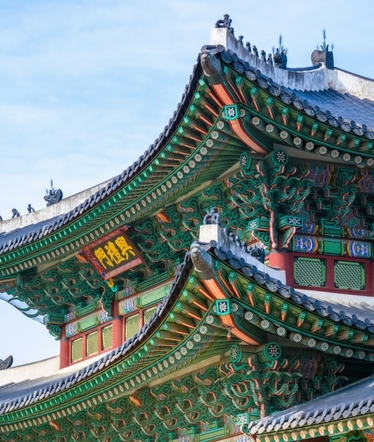 A team of Duke researchers and collaborators have been looking at two important industries for Korea: electronics and shipbuilding. 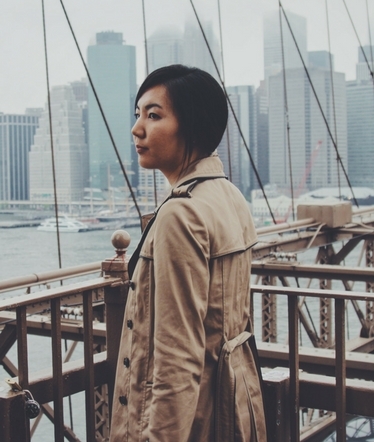 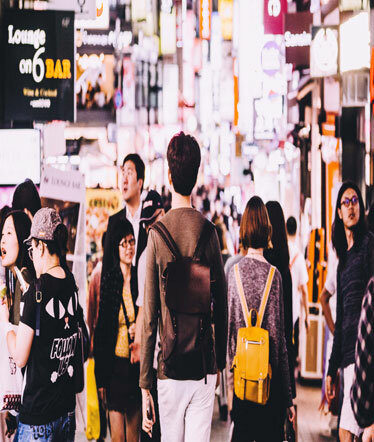 The research is focused on the evolution and current status of these industries in Korea, and where Korea is positioned in these industries from a regional and global perspective. 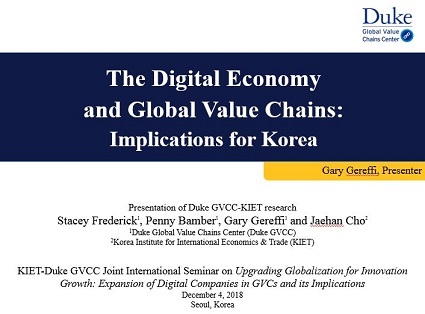 The research highlights the importance of using a GVC framework when creating industrial policies in a developed country such as Korea. 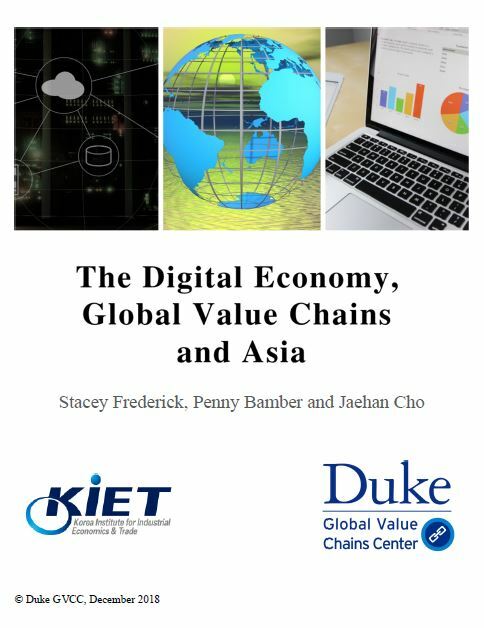 On Tuesday, September 5, 2017 Professor Gary Gereffi presented findings from the research at the KIET – Duke University Global Value Chains Center Joint International Conference. 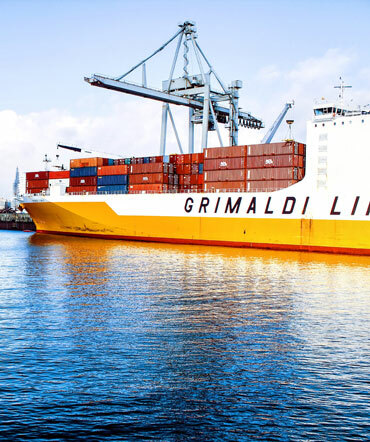 Professor Gereffi outlined upgrading opportunities for the Korean economy using a global value chain (GVC) perspective. 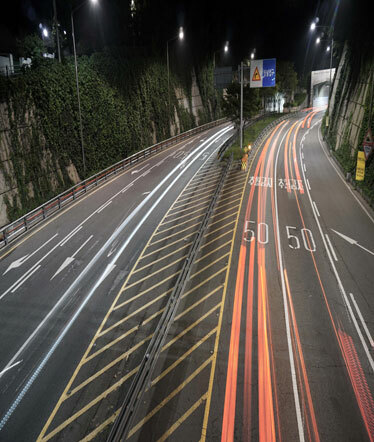 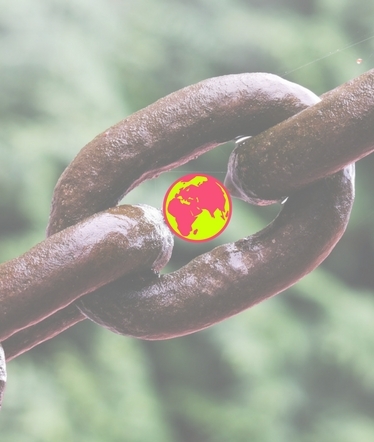 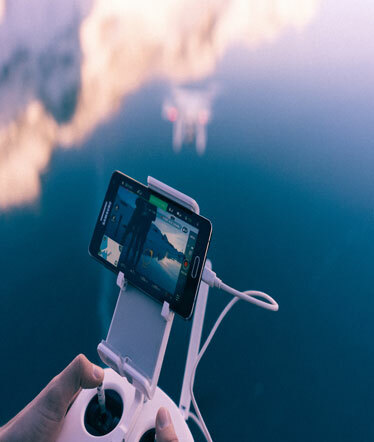 The project team included Stacey Frederick, Penny Bamber, and Lukas Brun from the Duke GVC Center, and in Korea, Joonkoo Lee at Hanyang University, and Jaehan Cho at KIET.